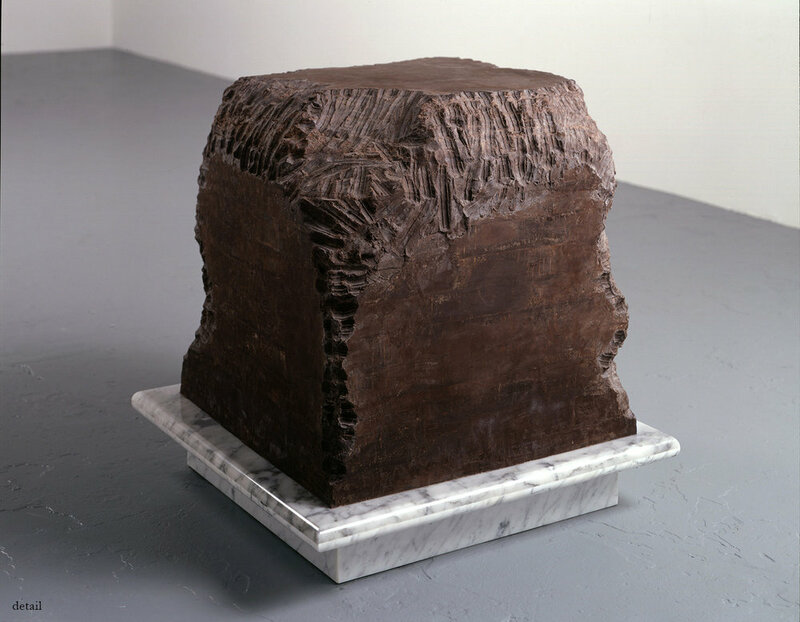 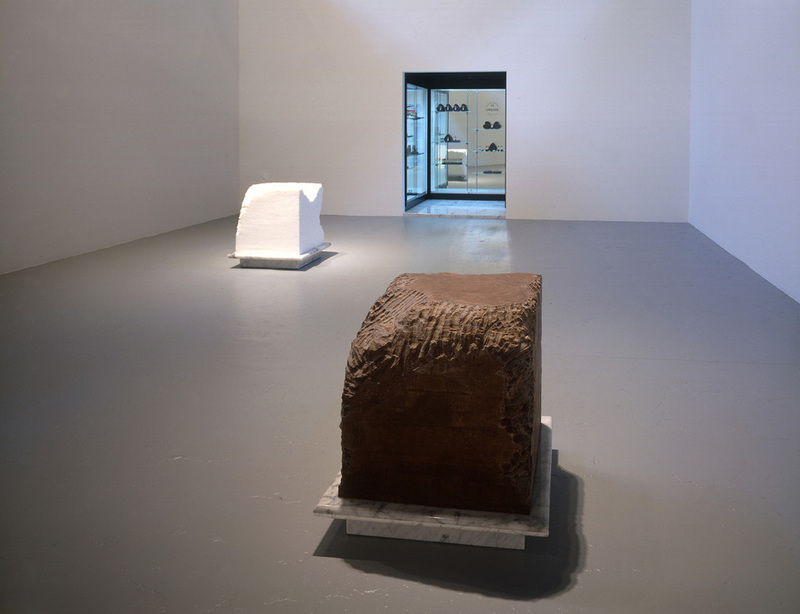 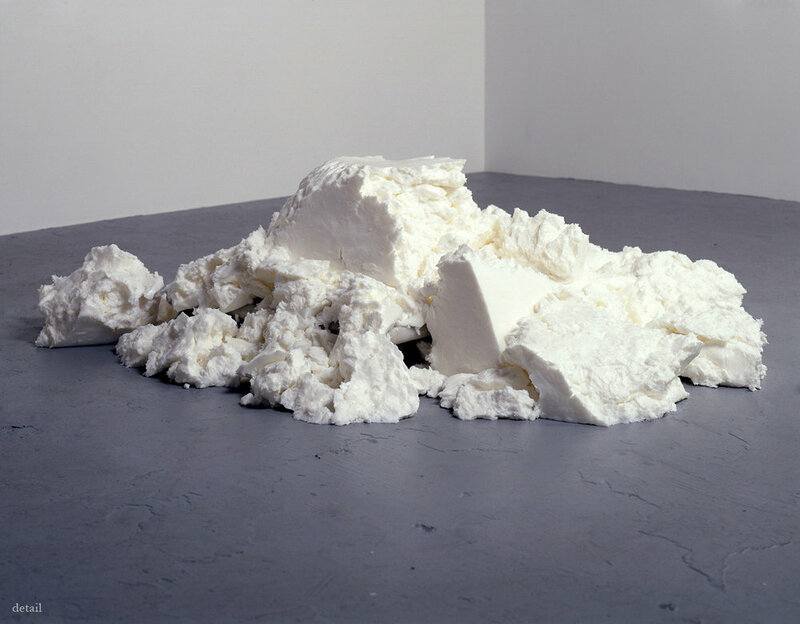 Gnaw comprises two 600-pound cubes – one of chocolate, the other of lard – and a three-paneled, mirrored cosmetic display case. 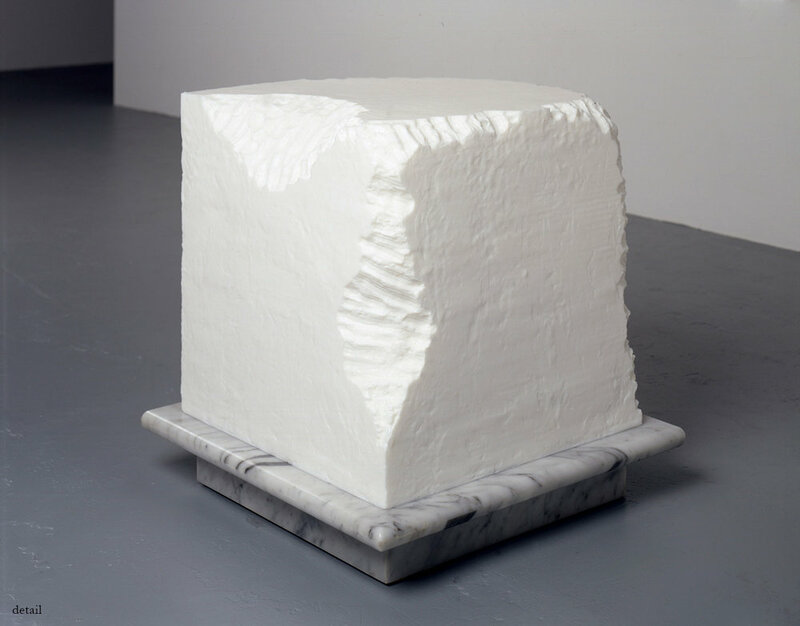 Using her mouth as a tool, Antoni nibbled the corners of both cubes, leaving visible teeth marks in the material. 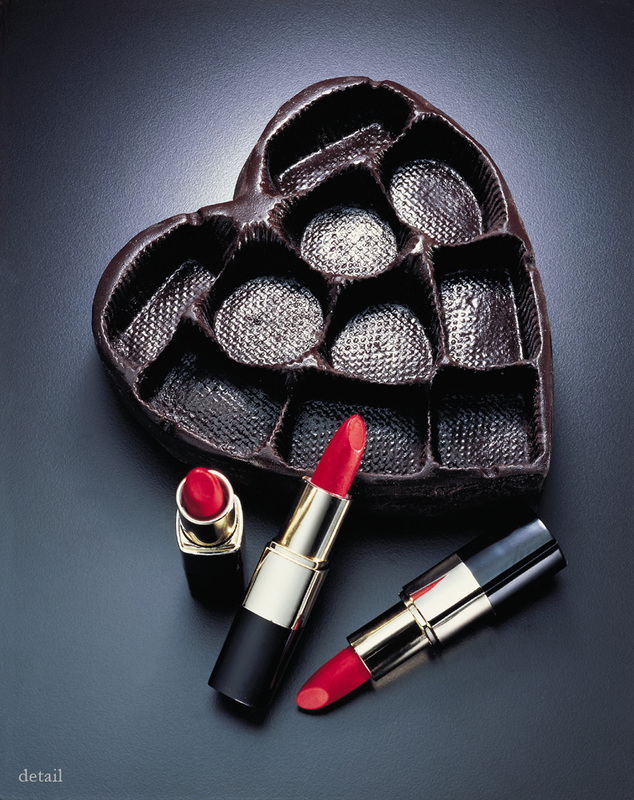 The chocolate fragments, blended with spit, were melted down as cast into 27 heart-shaped packages for chocolates, while the lard residue was combined with wax and bright red pigment to create 135 tubes of lipstick.